Maximize your shooting dollar with Fiocchi! Big performance without the price to match. Fiocchi Rifle Shooting Dynamics, .223 Remington, FMJBT, 62 Grain, 50 Rounds is rated 4.8 out of 5 by 22. Rated 5 out of 5 by Harrydamus from Excellent quality and price! Simple! Cheap, affordable and reliable ammo. No casing/ammo or ejecting/firing related issues what so ever wen put to the test!! Rated 5 out of 5 by Reinaldo from Awesome Worked great and for a great a fast delivery. Thank you. Rated 5 out of 5 by Dennis from Fiocchi I have fired many rounds from 223 and 9mm 24 grain and can't go wrong with this brand! 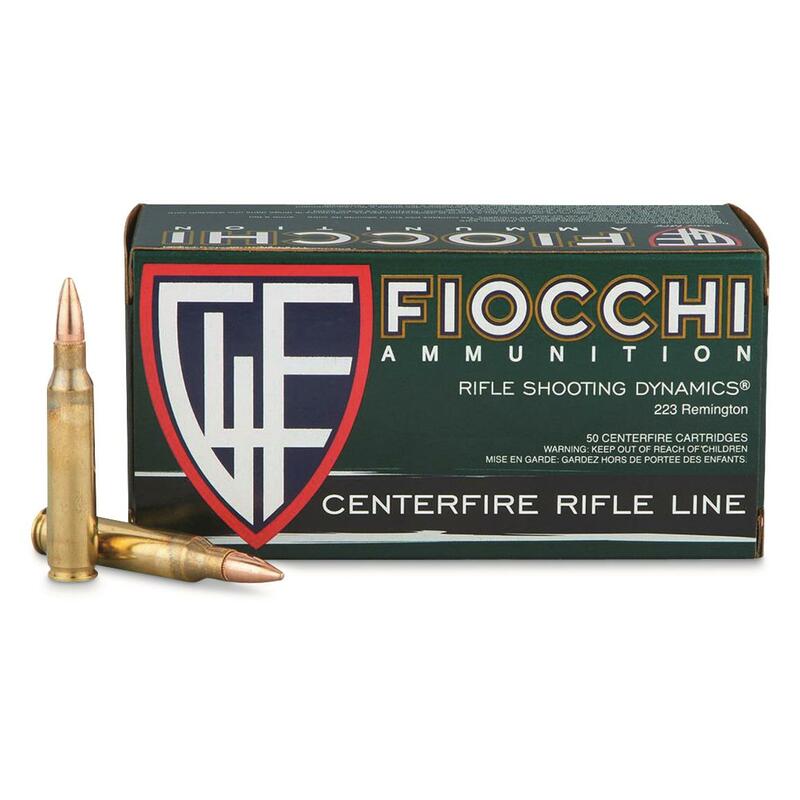 Rated 5 out of 5 by Johnny C from FIOCCHI .223 RREM FMJBT Fiocchi ammo seems one of the best kept secrets of the AR shooting world. Clean, consistent, extremely reasonable price. I have use their varmint ammo with geat results, and this FMJBT is good steel banging stuff. Rated 5 out of 5 by skott from Great shooting ammo, 62gr without the Steel Core Ammo is great for shooting out of faster twists, nice to have a change from the 55gr bulk stuff. I shot it from a 1:8 twist and it performed great. Rated 5 out of 5 by simflier from Good price! Shoots accurately in my bolt action rifle. Rated 4 out of 5 by Michael from Good price Not the best price, but not bad either. Good quality.